On Facebook, Twitter, Instagram, Pinterest, Google, or any other social media outlets…We see just glimpses of one another’s lives. A glance into each other’s lives can point our family, friends and “followers” to the Lord and to His Word; in the lighthearted or hilarious moments, when life is rough or on smooth days, through our struggles and even if we have found ourselves in a pit. The fact is, we are quickly nearing the end of the Beginning. Jesus is coming soon! These days of technology are days of opportunity like never before. We are able to reach out to one another far and wide, all over the globe. 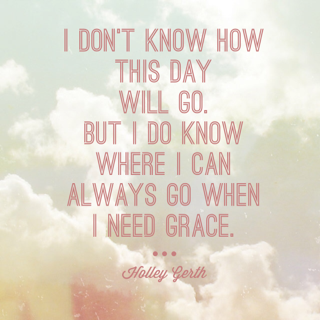 With the power of the Holy Spirit as our guide, I pray we/I redeem the time and use our opportunities wisely. Let’s choose to serve God everywhere, including online. Encourage one another and build each other UP in the LORD! and serve ye the Lord. This is the first post in a series of tips and encouragements that have been a blessing to me in studying my Bible and having a daily Quiet Time (Devotions). When your Quiet Time takes place is up to you. Consider your family’s daily routine and schedule. It will also vary depending on what season of life you are in. For sure, whenever I was the mother of babies, awake throughout the night, my Quiet Time was not the same as it is now. In a world full of people to love, work to do and distractions to avoid, time to be quiet with the Lord is challenging. But it is possible. Try this! For one week observe your routine and ask the Lord to show you portions of your day when you could have special time with Him. It might be one large period of time or smaller periods throughout the day. Here is an example that might help you get started. 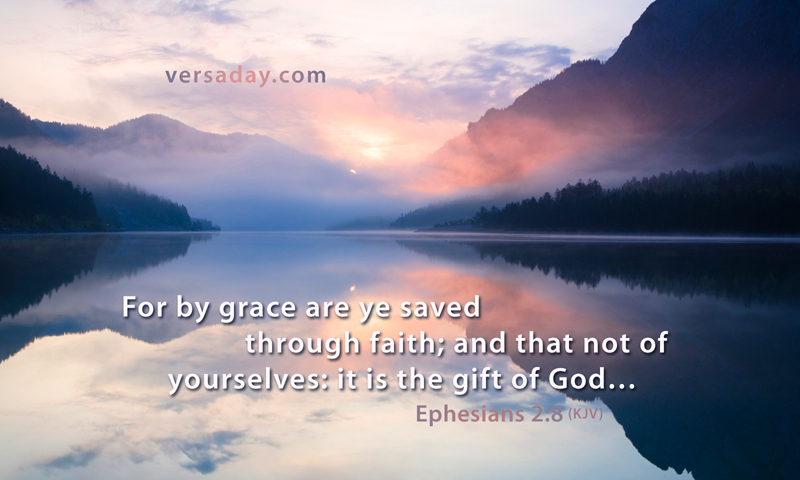 Start the first 15 minutes or half hour of your day, depending upon how early you get up, by praying and reading a passage; take a few minutes at lunch to review your morning verses (maybe have them written on an index card or on your cell phone); then before you go to sleep thank Him for the day He has made and review your verses again. We need focused, concentrated time to be still and take all our praises and personal cares to the Lord each day. 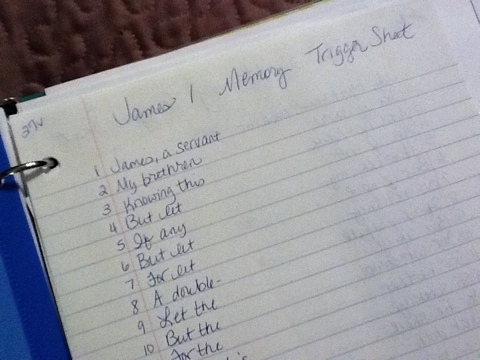 Some like to keep a journal of their prayers or a notebook where they keep a prayer list. You could keep your church prayer bulletin handy each day for prayer times or use a basket or box of notecards with needs and names on them. One year I was wondering what to do with all the photo Christmas cards we receive every season. So I decided to fill up a pretty tin with pictures of our family, friends, and missionary prayer cards so we can pull out several each night to pray for. We keep it on the coffee table. For those we don’t have a picture of I wrote their names on a 3×5 card and put it in the box. Don’t forget your Pastors and their families, your church family, your child’s (or grandchildren’s) school and all the people who influence them each day, your civic leaders, those in authority and civil servants, our military and their families, missionaries and ministries all over the world. We should also remember that our prayer closet can be anywhere. Make it a habit to speak to Him as your head hits the pillow each night and again before your feet hit the floor the next morning. Talk with Him in the shower, making the bed, sorting, switching and folding the laundry, at the kitchen sink or while stirring at the stove, driving the car, in the grocery store, anywhere and everywhere. When we had babies in the house, I remember talking with Him while making bottles, rocking, feeding and diapering, etc, especially in the middle of the quiet nights. Those actually were some of the most precious, close times with Him! It’s wonderful that He is always awake! An amazing thing takes place when we are meditating on The Word of God, the earthly and the Eternal begin to intertwine, and seem to blend together. 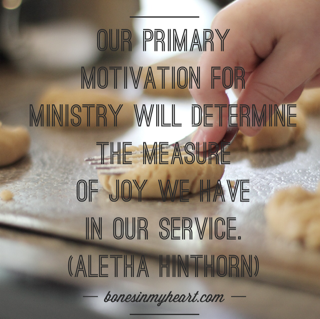 Even the menial earthly tasks transform into worship, or even an altar. 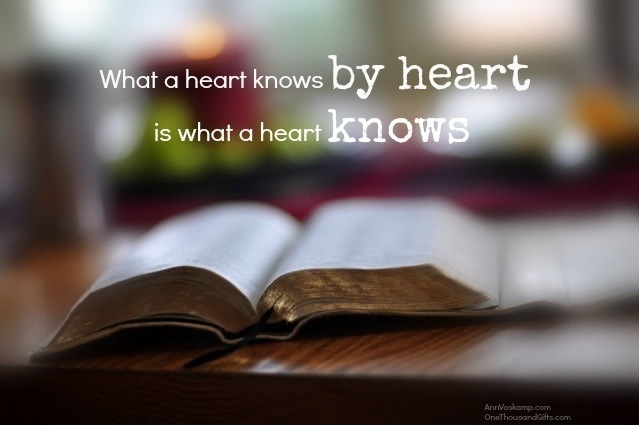 When we hide God’s Word in our hearts It is there for us even when we think we’ve forgotten It. It is tucked away and often God will bring it to our minds in the future at just the perfect time! In closing today, I urge you to determine to make some time to be with the Lord a huge priority in your daily life. It is a habit to be formed, a discipline, for sure. Yet, I promise, you can trust that God will bless the time you give to be with Him. Please don’t let yourself get discouraged when you miss a day, a week, or even a month. Discouragement is like a sinking ship. Before you know it you’ll hit rock bottom. So just look to the Lord and get back at it right away! Don’t count on your feelings. They will almost always lead you down the wrong path. Just do right and trust God for the rest. More Bible study and Quiet Time tips yet to come. If you do not want miss any of these posts, you can sign up on the sidebar at “follow blog via email”. I love Philippians 4:8’s eight things to think about! What a plain, clear list that is simple to comprehend and apply! Not only do we have to be careful what we think about, but we have to realize that this list specifies what we are to feed our minds! Don’t be silly and say, well, “it is true”. It may be true, but if it’s not also pure or right, etc. then we are not to dwell on it, or fixate our minds on it. Some things just aren’t worth spending our thoughts on, according to the Scriptures. I need to make sure that I filter all things through Philippians 4:8. How about movies and tv shows? Would what you watch pass muster? 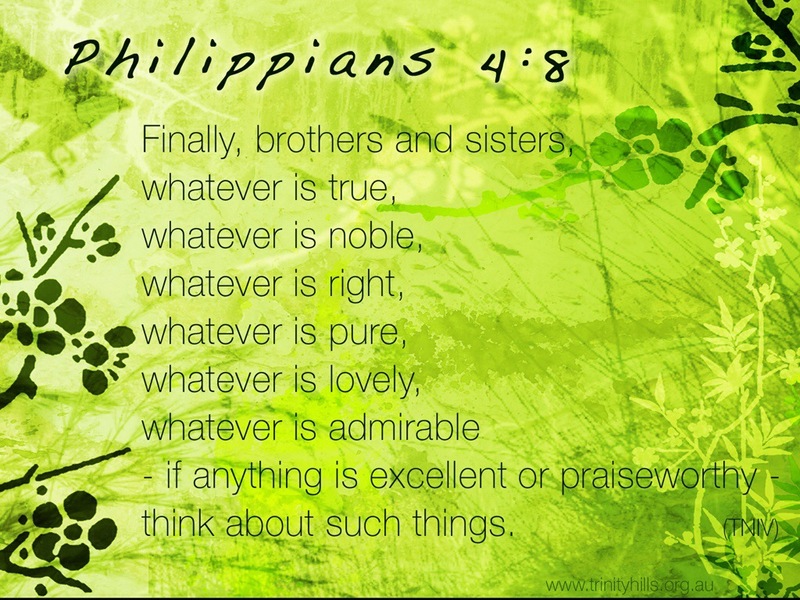 Would what you read or look at or engage in online hold up against the Philippians 4:8 Thought List? Would your online, text, or face to face conversations be considered holy, right, lovely, and praiseworthy? Perhaps your vocation requires you to consume news or information that is not praiseworthy or it is even evil. Ask the Lord to guard your mind and bless you with wisdom, discernment and peace. 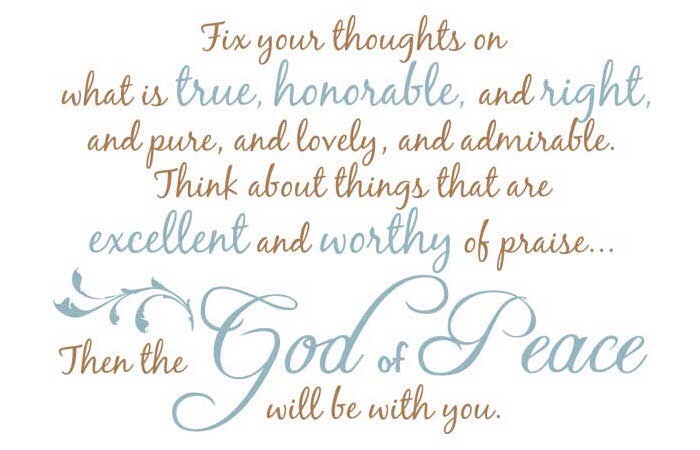 Then all other times, fill your mind with things that are excellent, admirable, true, holy, lovely, just, pure, and things that are worthy of our praise! Have an excellent week, my friends! Good morning! I just wanted to quickly touch base with you here. 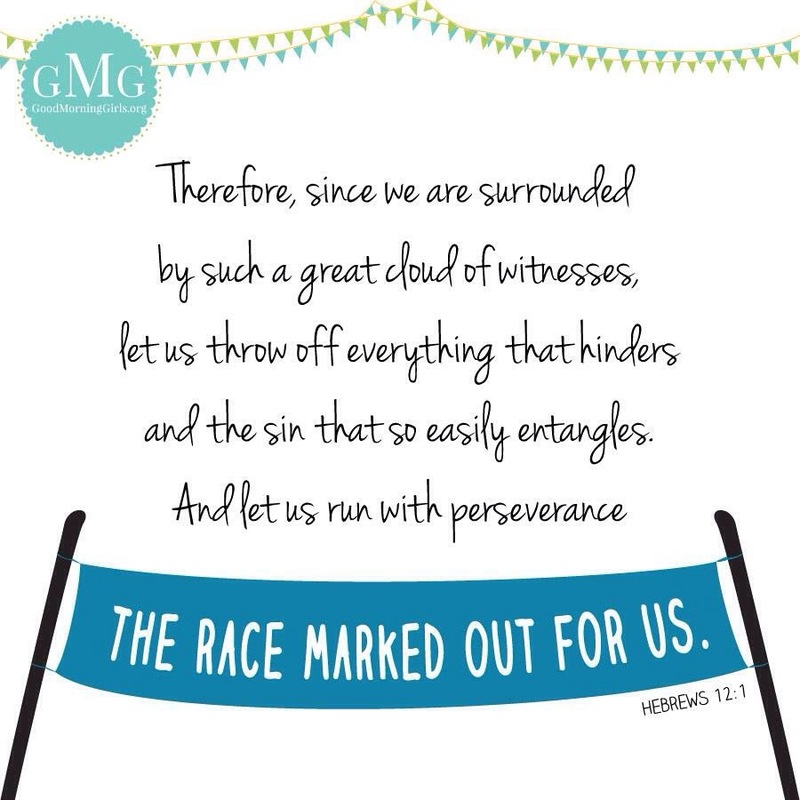 How is it going for you in our GMG study, Intentionally Focused?! I’ve already been so blessed! I love going through passages of Scripture slowly, in small bites and that is exactly how the S.O.A.P. Bible study directs us as we write out our daily Scripture, our Observations, our life Application and then our Prayer. I pray you each have a warm, blessed week! *Please, come on over and LIKE us on Facebook! We’d love for you to introduce yourself and feel free to share your own Bible study highlights or questions! Since we are surrounded by so many great examples of those who have gone before us, bearing testimony to the Truth, throw off anything and everything that weighs us down and slows down our progress. Make sure you watch out for and run away from all the sin that easily gets us tangled up, sets a trap for us, grabs us around the ankles and yanks us down. Run the race patiently. I think of the lyrics in a hymn, “…bear patiently…”. Do not stop. Move forward. Move on. Never give up! Never quit! Keep going! If you fall down, REPENT! and get right back up! Look at Jesus! Look to Him for all the encouragement, motivation and the spirit you need to not faint or fade. Jesus, being flesh and bone like us, endured the horrific pain of the cross and He disregarded the shame. How did He endure such suffering and anguish? Why didn’t He think about the shame? Because He was thinking about the joy He knew was waiting for Him, everlasting joy with His Holy Father! Whenever you feel life is too much, or you’re waiting is too long…think about the hatred and the hostility that our loving Saviour endured so you will not grow weary in well doing and get tired of living your life for Eternity. Always think about Jesus and all He suffered through so you will not become discouraged and lose heart. I am so happy that you are here! Welcome to the starting line of our 8 week journey toward setting our souls, our hearts, our minds, and all our ways on being *Intentionally Focused on the Lord Jesus Christ in all areas of our lives! I plan to publish notes from my own personal study here in a weekly post, or maybe more often. And then, I want to post daily on our Facebook page! My hope is that you all will freely share your notes and inspirations, as well! It will be SO encouraging (and not lonely 😀 ) when you leave comments here on the blog and on our Facebook page! Introduce yourself, and throughout the week, or each day…as often as you’d like, please, share what the Lord is doing in you! We are doing this together! On this journey, what do you see as the goals and challenges you are facing? For me? I think personally my greatest challenge is to be intentionally focused in the “small things” all day long. After daily temptations, challenges and snares I’d like (actually, I’d LOVE!) 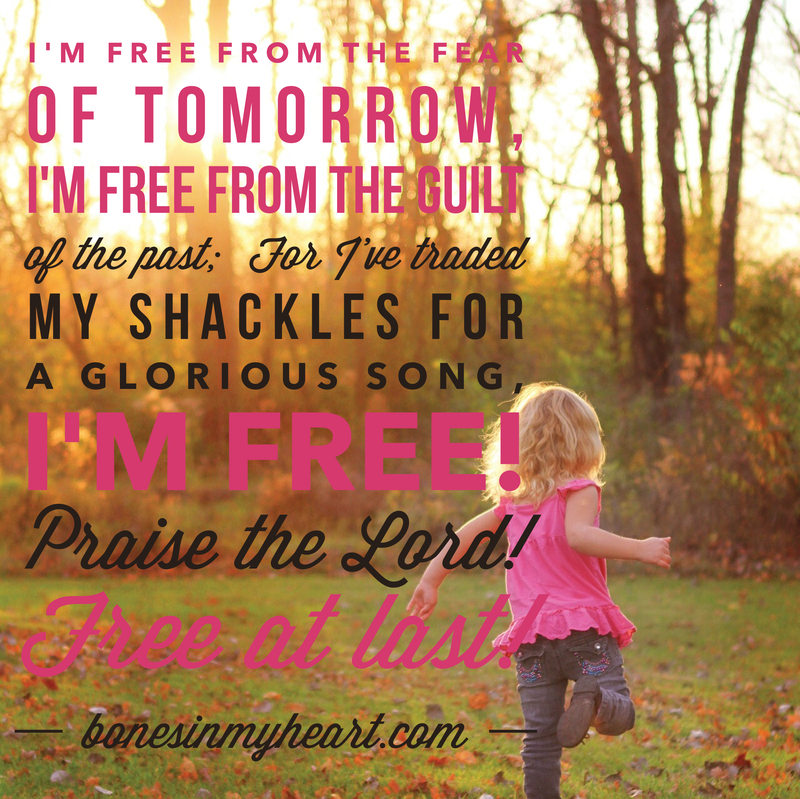 to look back and know that in all things, I was filled with the fruit of the Spirit and by the grace of God, avoided each temptation and met each challenge Biblically, just the way the Lord wants me to…and when I have sinned to quickly confess, repent and receive His forgiveness and get back up just like He intends for me to! (1 John 1:9) Is that too much to ask? Ha! Well, I believe if God didn’t mean for me to succeed then He wouldn’t have commanded it, or asked it of me all throughout His Word! What do you think? 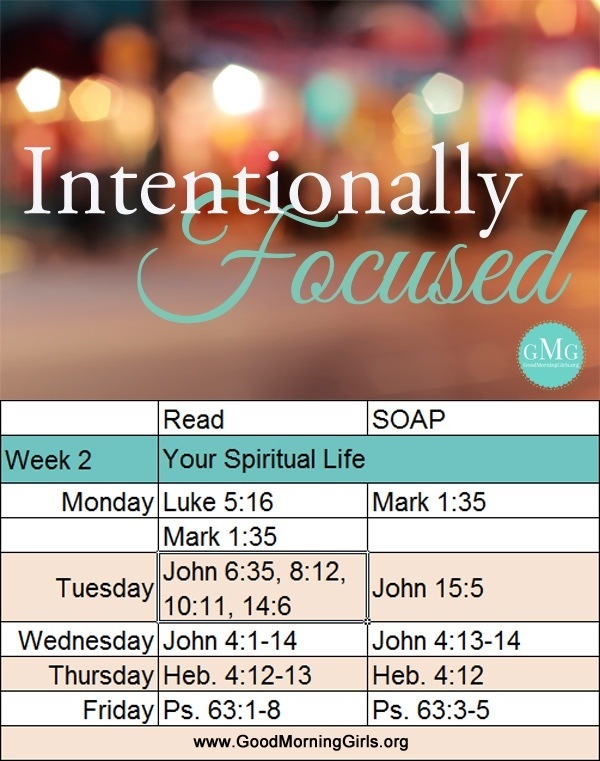 *If you need the Bible study materials, go to Good Morning Girls, become a subscriber and download the Intentionally Focused reading plan and free printable study guide! 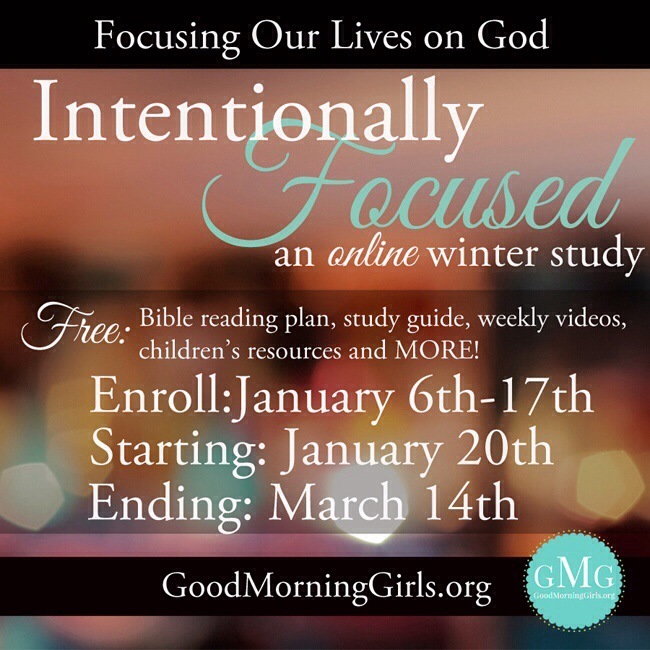 The new online Bible study, Intentionally Focused, from Good Morning Girls is starting next week! I have always been so blessed by each GMG Bible study I have done, so I’m really looking forward to this one! 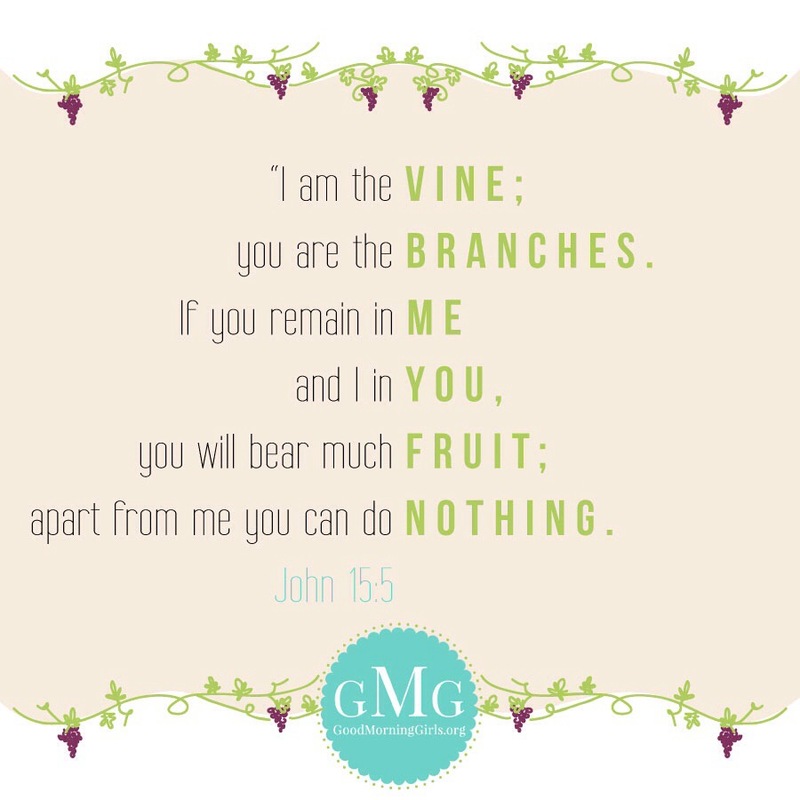 We would LOVE for you and your friends to join our study group here at Women Growing in Grace! We will share our notes and insights with one another here on the blog, as well as on our Facebook page! To get started, be sure to subscribe to our email updates and leave a comment below to let us know you are planning to study with us. Next, go to goodmorninggirls.org to subscribe and receive the link to the free study guide and reading plan! Then, we’d love it if you’d join our Facebook page and introduce yourself! Thank you so much, ladies! See ya’ back here soon! If you have any questions you may contact me at cpsalm40@hotmail.com with WGIG Bible study in the subject line or find me on our Facebook page! 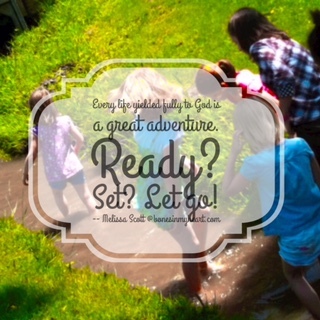 Lord, what if I stalled, paused before every single action or word and waited on You? I would never speak ahead of You. I would let You speak and I’d open my mouth only if You were opening it. I would let You go first. I would look to You then follow where You lead. I would do next whatever You say to do. I would get Your blessing, Your nod, Your approval before moving ahead with the next deed, the next word, the next thought. If only I would handle every moment of every day with that much consideration, that much self-control, that much faith, that much humble reliance. with the affections and lusts. let us also walk in the Spirit. We, who are women professing godliness, are a reflection of our beautiful Christ Who gave Himself for us. We are His. He is ours. We are bought with a price. What? Know ye not that your body is a temple?! Modesty is a timeless issue. It has been an issue from the beginning of time and it will be an increasingly important issue for followers of Jesus Christ until He returns. 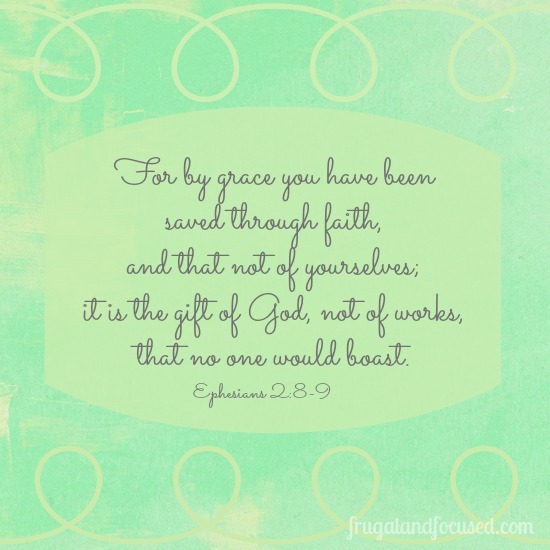 Today at Women Growing in Grace I am speaking a little bit about godly womanhood, our pure hearts and our appearance, offering practical advice that is a help in our own family. Modesty begins with a pure heart that wholly belongs to Jesus Christ. 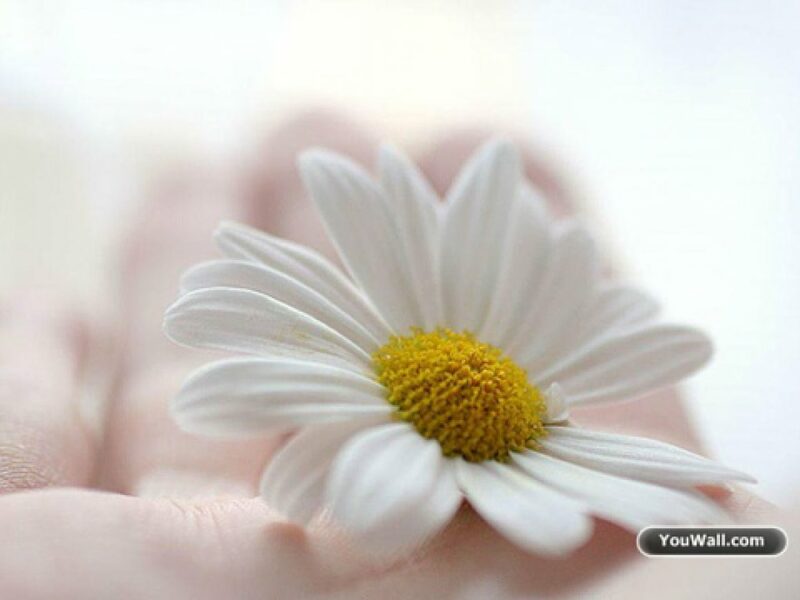 So, the first thing you and I can do is examine our hearts with a regular heart-check. Let’s ask ourselves some questions. ~Do I make excuses like these for how I dress? ~Am I humbly walking with God or am I filled with pride? ~Do I want to be foolish or wise? ~Do I care most what pleases God or what pleases the flesh? ~Do I want others to notice my spirituality or my sexuality? Maybe you’re not sure if you, in any way, ever dress or act immodestly. You can ask your husband, fiancee, or guy friends; ask your father, your uncle, or a trusted Christian man in your life. They often can tell you better than anyone. Or ask your mom, your grandma, your aunt, a Sunday School teacher, a mentor or your Christian girlfriends. And you can pray! God wants us to pray about everything! He wants to bless us! I know it can be a huge challenge to go shopping and find appropriate clothes. Not only is it a task for myself, but we also have 8 daughters, currently between the ages of 7 and 15, to provide clothing for! One frustrating example is, the necklines are usually so low that we need a camisole or tank top under just. about. every. single. top. available. And even then, we still have to make sure the tank top is going to cover us up! It means we have to be persistent and creative sometimes, but, remember prayer works! God hears humble hearts who want to please Him! He is eager to help! ~Am I showing any part of my breasts? Am I showing any cleavage? ~Could someone taller than me see down my top? When I lean over is this top going to keep me covered? ~Is this top see-through? Could I use some extra coverage like a camisole, or tank top? ~Is this top tight? Is it stretched so tight that it is pulling on the sides &/or the front? ~Is this blouse hard to button? Are the buttons pulling? Is the front gaping open in between the buttons? ~Are my bra straps or is my bra showing? ~Is this shirt so short that I’ll have to keep pulling it down to keep my waist covered? ~Is this top so low that I’ll need to constantly be pulling it up in the front to stay modest? ~Are these low rise pants going to show my back or bottom as I walk, or when I bend over? Ick! ~Do I need to wear a flowy tunic top or cute dress over these skinny jeans or leggings? ~Do these shorts come below the tips of my fingers when I stand up straight? Dressing and behaving modestly protects our godly testimony and our fellowship with the Lord. A pure heart with modesty can protect our own marriage and even the relationships of others. Modesty shows our reverence for God, our regard for the souls and minds of men, single or married, younger and older and our desire to be a godly influence on the women and girls around us. Where possible, we want to build each other up spiritually. It is true that some people are going to choose evil regardless of our testimony, but my point is that we can always do our best to please The Lord, to be right with Him. 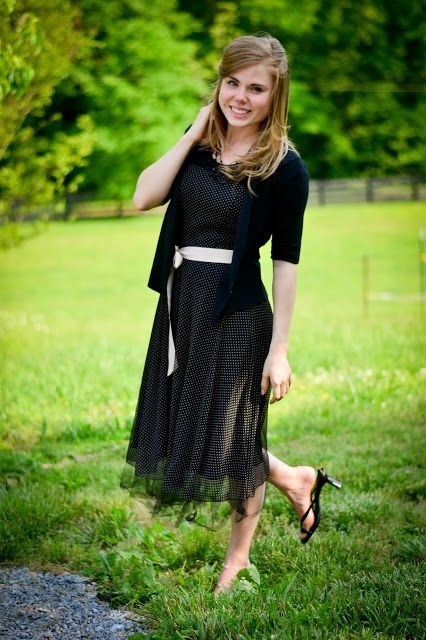 A godly woman can definitely dress nicely and modestly and at the same time look stunning and elegant. We CAN dress modestly and still be stylish, cute and pretty. It is worth the time it takes to make godly choices! God WILL bless our efforts! He will bless our pure, humble hearts! What are some things that have helped you in your endeavor to be modest?